The Fish and Wildlife Service has promised project completion to Sen. John McCain. In a recent letter from the U.S. Fish and Wildlife Service (USFWS), the department made a commitment to Sen. John McCain to complete the ongoing repairs for the Willow Beach National Fish Hatchery, located in Mohave County, before the end of July 2016. In 2014, McCain took a tour of the hatchery and spoke with the USFWS about completion of the project, which would cost almost $9 million. McCain suggested that the USFWS collaborate with the Arizona Game and Fish Department (AZGFD), as well as Mohave County, to find an approach to the repairs. In March 2015, the USFWS and AZGFD made finalizations on an agreement, which stated that they would proceed with the trout restocking at Willow Beach, and that the two departments would divide the fees for the restocking. 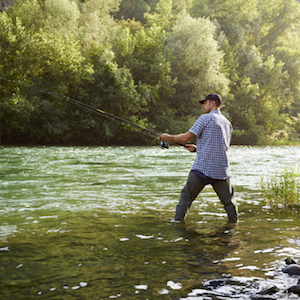 According to the AZGFD, trout fishing is a source of great revenue, creating approximately 1,700 jobs and $75 million in economic activity in the Mohave and Clark counties. Benjamin Tuggle, southwest regional director of the USFWS, wrote a statement about the project's completion. "We are committed to ensuring this work is done within this timeline and meeting our shared goals," he said in the statement.